This format is viewable on Kindle devices. Also viewable on Kindle apps which can be downloaded for free on smart phones, tablets and computers. If you have a discount coupon, it can be added at checkout. 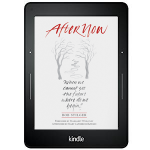 Here are instructions on how to get the Kindle Version of AfterNow on your Kindle Device. We think AfterNow is really important in these days of cascading climate, social, economic, political and personal disasters. We want it out there! We're reducing the price of the softcover book and including a free kindle or ePUB version with the purchase. We'll also send you two copies of the book so you can share with a friend. Please order it here by clicking on one of the options below. Retail price for the softcover book is $19.95, but we will send you one copy for $13.95 or two for $19.95, plus the free kindle or ePUB. 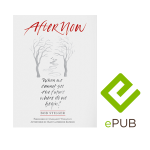 We’re encouraging readers in the US to purchase directly from the AfterNow.Today website, but books and ebooks are also available on Amazon, Barnes & Noble. International shipping are prohibitively expensive, so this softcover pricing is for US readers only. In other parts of the world, please order from your Amazon outlet and if that is unavailable, please e-mail AfterNow@NewStories.org and we'll come up with a price for you which includes international shipping. Kindle and ePUB versions can, of course, be ordered on this site for immediate delivery anywhere. Also, please contact AfterNow@NewStories.org for bulk pricing.